There are so many factors to worry about when selling any residence that adding on the fact that the home belongs to a hoarder might make the sale process seem insurmountable. While plenty of homes on the market are staged to perfection and rack up visitors with pleasant open house events, a hoarder’s house requires more effort and finesse in order to get it in condition to sell. That doesn’t even take into account if the house was owned by someone who passed away inside or didn’t have it cleaned for years. However, if you create a plan for yourself or the homeowner, finding a buyer might just be easier than you think. Here are five tips to make selling a hoarder home possible. 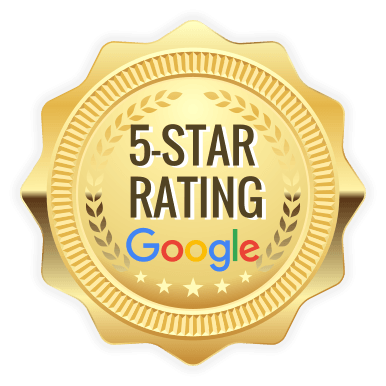 This might not sound like it has something to do with the home selling process but, trust us, by laying down a baseline of understanding and compassion you will be making things easier for yourself or the homeowner if it’s someone you’re helping. The fact is, hoarding isn’t often something a person does on purpose or as a hobby. It is very often a mental condition that is beyond their control. It’s actually more common than you might think. According to Sparefoot, half of all Americans know a hoarder and seven percent of Americans identify themselves as hoarders. So before you start the process, have some compassion for the homeowner and, if possible, put them at ease by letting them know they’re not a bad person, they just need some help. You helping them to sell the home is part of that process. It’s not about lying to the hoarder, it’s about appreciating their situation and then recognizing this is more common than you or they might think. From there, establish a realistic understanding of the home selling process and make it clear that in spite of its condition, this house is sellable and the outcome of this transaction can be a positive. This might seem like an unnecessary step but considering the circumstances it is always wise to cover your bases when it comes to the legal ownership of the residence itself. Often times, a hoarder doesn’t actually own the house they’re living in. It might have been loaned out to them by someone else. They might be living there as part of a family trust. It’s possible they might not have any legal recourse to be there at all. The last thing you want to happen is to start the process and spend a bunch of money cleaning and renovating the home only to find out you didn’t actually have permission from the actual owner. The home is already a big mess, don’t add a legal mess to it as well. This is not a clean-up job for you and your friends. This is not even a clean-up job for the local cleaning service. This is a job for extreme cleaning professionals. The truth is that when it comes to cleaning a hoarder’s house, what you can see is merely the beginning. Every pile of newspaper or tower of trash is hiding something underneath, something that is probably unhygienic and possibly toxic. We’re not just talking about moldy food or dirty clothes. We’re talking about feces, dead animals, and black mold. So many things in a hoarder’s house could be unsafe if not handled and disposed of properly. Mold and bacteria need to be cleaned thoroughly. Animal and human waste needs to be disposed of in a proper manner. The point is, if there was ever a situation that called for professionals who understand what it means to enter a potentially dangerous environment in order to clean it, this is it. Whatever costs involved, they’ll be worth it in the end so you can bring the home back up to a livable level. 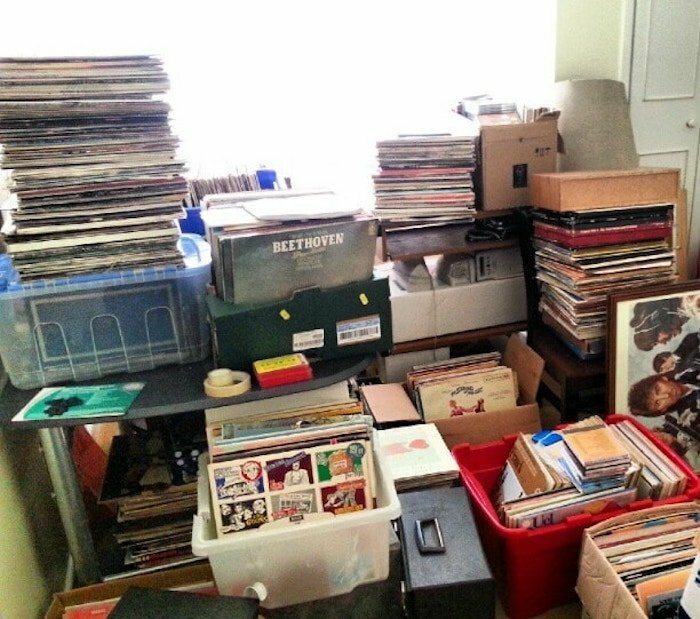 One other thing to consider…not everything being hoarded is trash. There might be valuable items buried amongst the piles. There might be keepsakes that the owner or the owner’s family would like to keep. There might also be items worth selling in order to defray the costs involved in the selling process (or to help the homeowner get by in the meantime). Don’t make assumptions about what you’ll find. 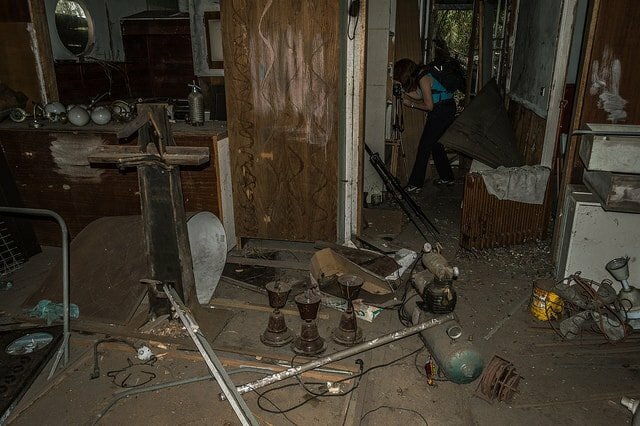 Just like you don’t know exactly what’s going on underneath the mess until you start cleaning it, you don’t know how extensive any damage is to the house until you really get in there as well. 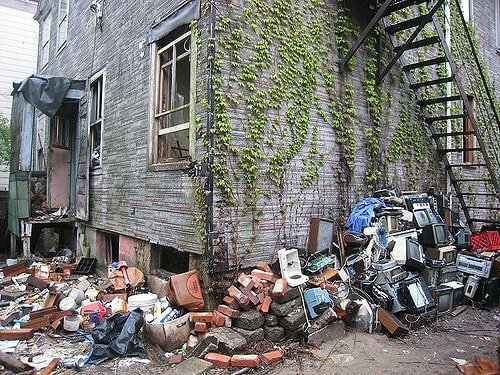 Years of neglect are bound to take their toll and it’s very likely that a hoarder hasn’t done their due diligence to maintain the integrity of all the materials that make up a livable home. Even after the cleaning is over, you’re not out of the woods yet. You might be able to see some damage but you won’t know the full extent until you get inspection professionals in to look for structural damage, electrical issues, and pipe problems. Even if you can make the home look spotless, you might have a dozen issues that aren’t up to code lurking behind the walls and under the floors. Repairing these issues can help you out in the long run. Don’t cut any corners when it comes to knowing every single issue going on with the house. The last thing you want is to put in extensive work decluttering and cleaning up the home and selling it only to have the buyers back out because they discovered damage you hadn’t considered. Buyers may already be wary of buying a hoarder’s home to begin with, don’t give them any further ammunition. The truth is, a hoarder’s home might be in such bad condition that it simply won’t be worth it to you to sink money into cleaning and renovations in order to sell it. Or it might take too long to sell the house in order for it to be a profitable experience. If you feel as though that’s a possibility, you might want to consider selling it “as-is” to a home flipper. The bonus of going this route is that you can sell the home without even dealing with the cleanup and repairs. You also avoid the awkwardness and embarrassment of an open house gone awry. Instead, flippers and investors can view the home privately, make an offer, and take the home off your hands. Obviously this means you won’t make as much of a profit on the sale, but it might give you more peace of mind. If you’d like to received a fast cash offer on your home, visit our website by clicking here. We can give you a fair cash offer on your hoarder home in under 24 hours. Your advice to hire extreme cleaning professionals is a good idea. When choosing one, it might help to research local companies who specialize in hoarding cleanout. finding professionals who are experienced in such situations could ensure they know the best methods to use as well as equipment to get rid of everything and help you get tips to prevent hoarding problems in the future.